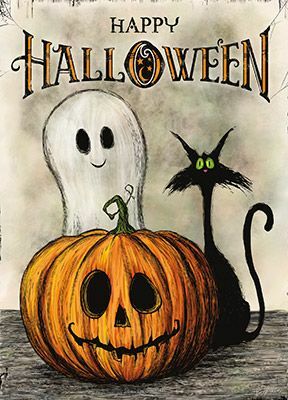 Happy Halloween from K&S Impressions! 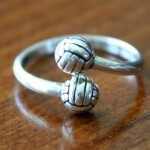 Save 30% on all sterling silver hand stamped jewelry through midnight. 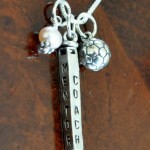 Plus, spend $100 and you will also get free shipping! Enter Code: SPOOKY30 at check out. Be safe tonight and happy shopping. 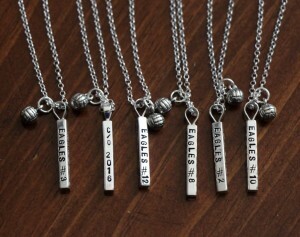 Thank you for the opportunity to create personalized volleyball player necklaces for this senior volleyball team. 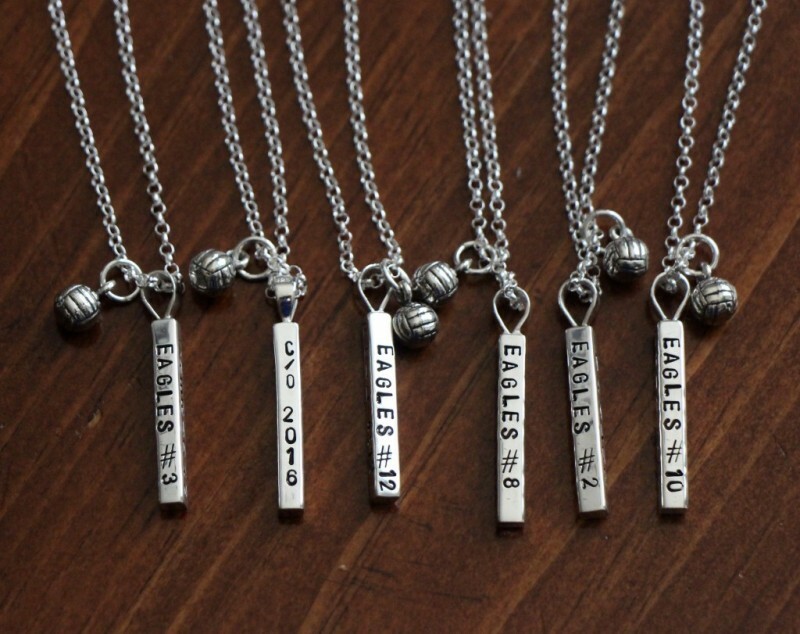 Not only did your gift show appreciation for their teamwork, great sportsmanship and a successful season, we hope their keepsake necklaces will continue to remind them of all the great memories they made together as a team. 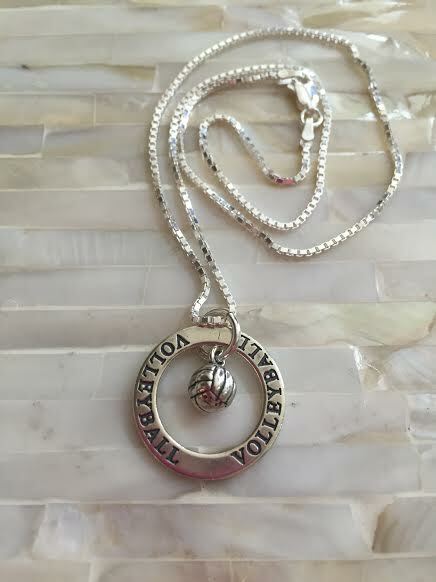 They selected the Athlete’s Four-Sided Name Bar Necklace and personalized the hand stamped charm with each player’s name, team, number, Class of 2016 and inspirational words. 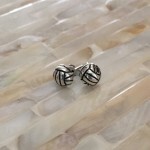 The volleyball charm was selected to represent their unforgettable season and passion for their favorite sport. 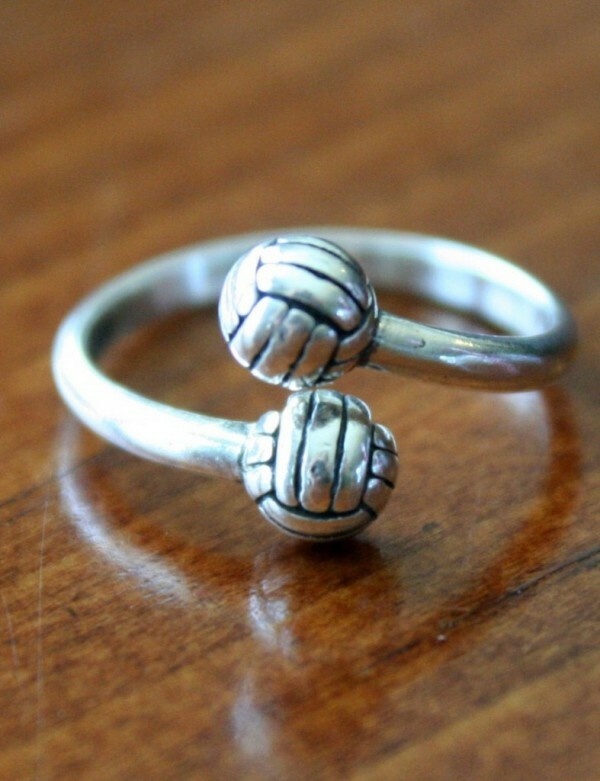 Shop for the perfect Volleyball Player Gift from our wide selection of sterling silver designs. 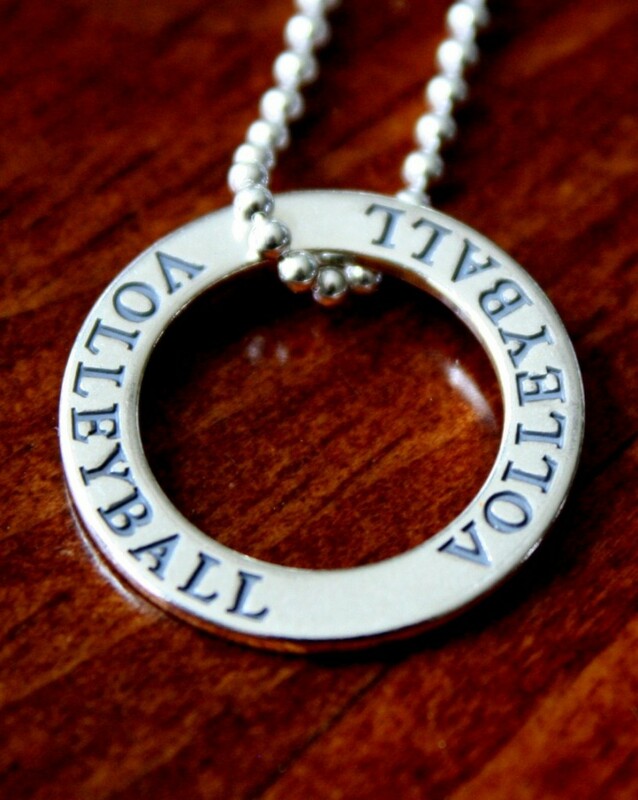 Create a custom volleyball jewelry gift by adding a volleyball charm to your hand stamped necklace or bracelet and personalize with a name, number or initial, team name, school or year. What an amazing accomplishment! 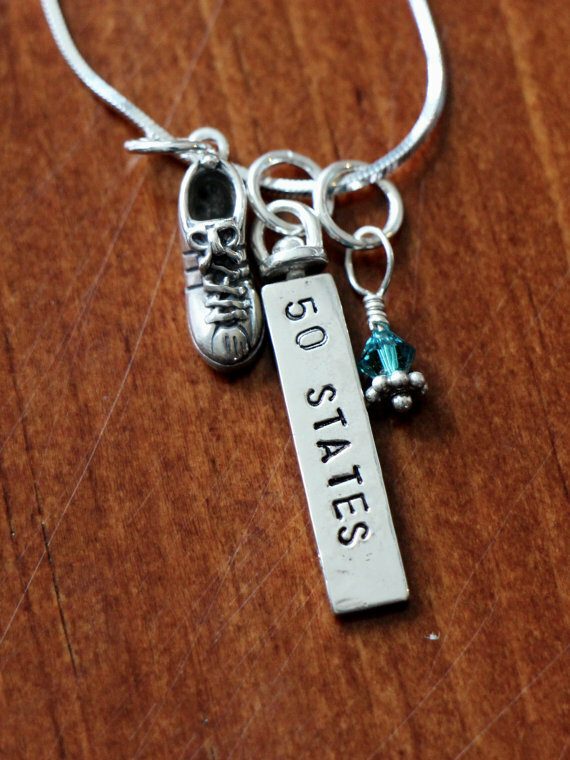 We were honored to have the opportunity to create a personalized runner’s necklace for a marathon runner who just completed running a marathon in each of the fifty states. 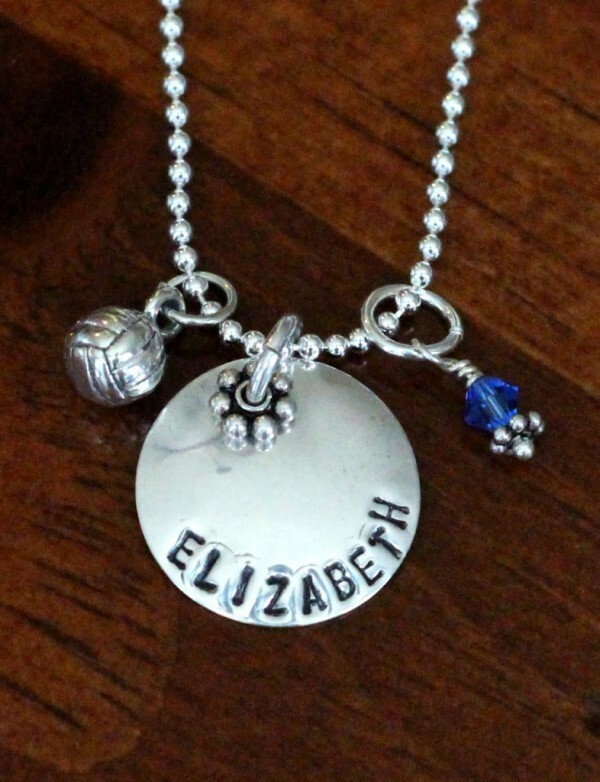 She selected this Marathon Runner’s Personalized 2-Sided Necklace to wear as a keepsake and showcase her passion for running and achieving her 50 states marathon goal. 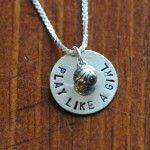 The two sides of the bar charm were hand stamped with “50 States” and her name. 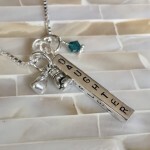 She selected the snake chain and December Swarovski crystal birthstone to join the running shoe charm and personalized bar. 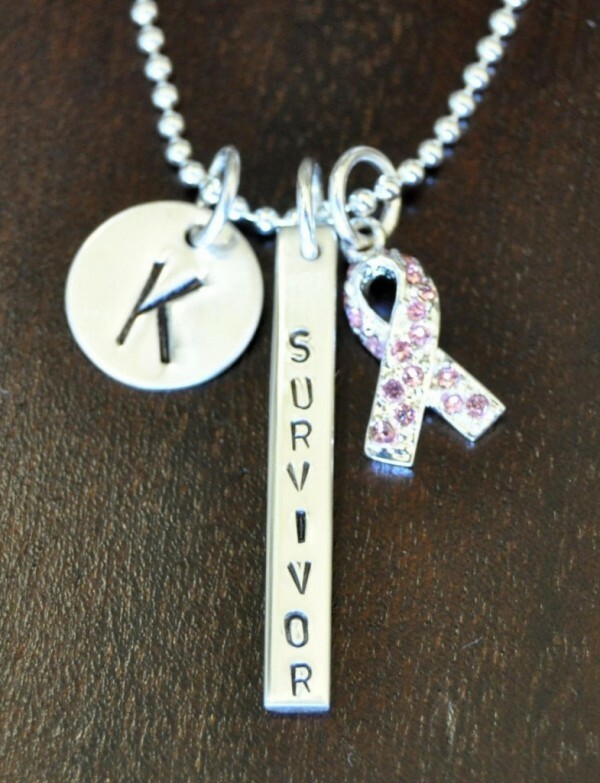 K&S Impression’s Awareness & Survivor Collection is on sale now through October in honor of Breast Cancer and Down Syndrome Awareness Month! 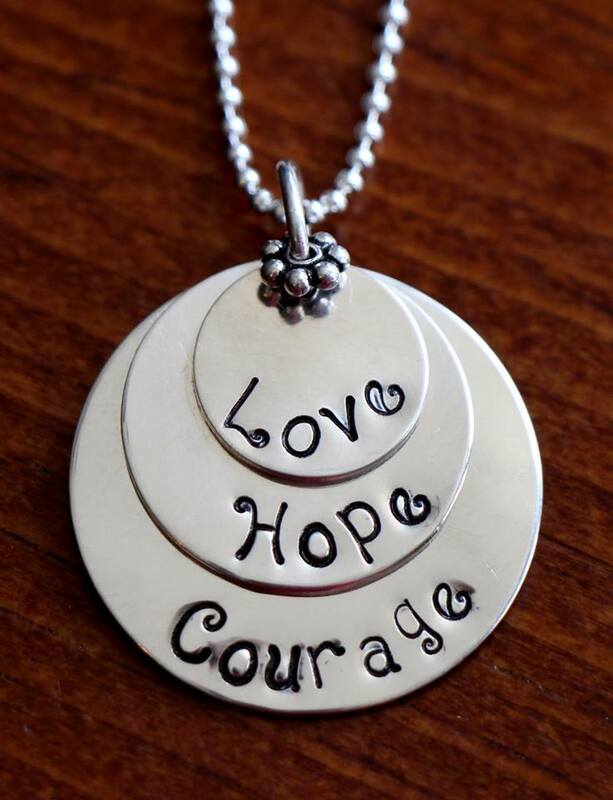 Shop our assortment of sterling silver personalized necklaces, rings, bracelets and Swarovski crystal ribbons to support your cause. 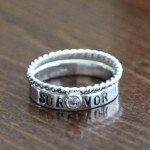 Contact us at kandsimpressions@gmail.com or 913-583-0118 for assistance to design your own. 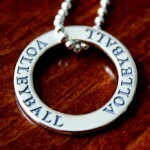 And if your design wins, we will add it to our jewelry collection. 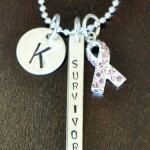 We are thankful each time when given the opportunity to make this Personalized Cancer Survivor Awareness Necklace to help commemorate someone’s courageous victory over their battle with cancer. 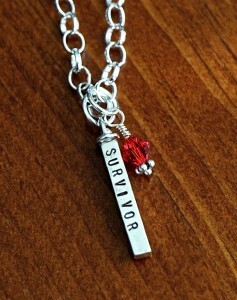 The meaning behind this cancer survivor necklace depends on the color of crystal you select. 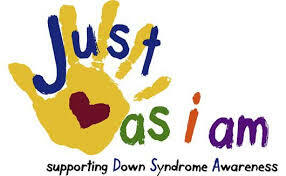 Please refer to this list of awareness colors that include some common causes and their support colors. 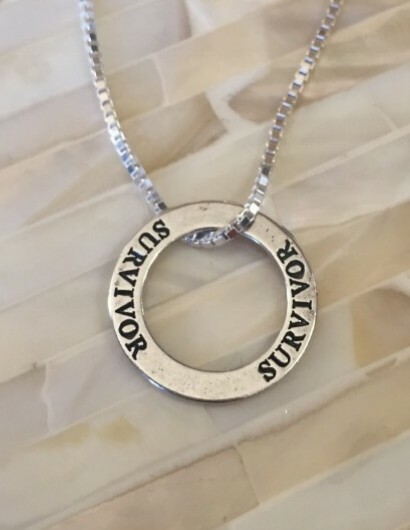 This sterling silver necklace includes a thick bar hand stamped with “Survivor” or personalized with the name of your choice. 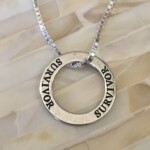 A classic circle charm is customized with the year of diagnosis or a name. 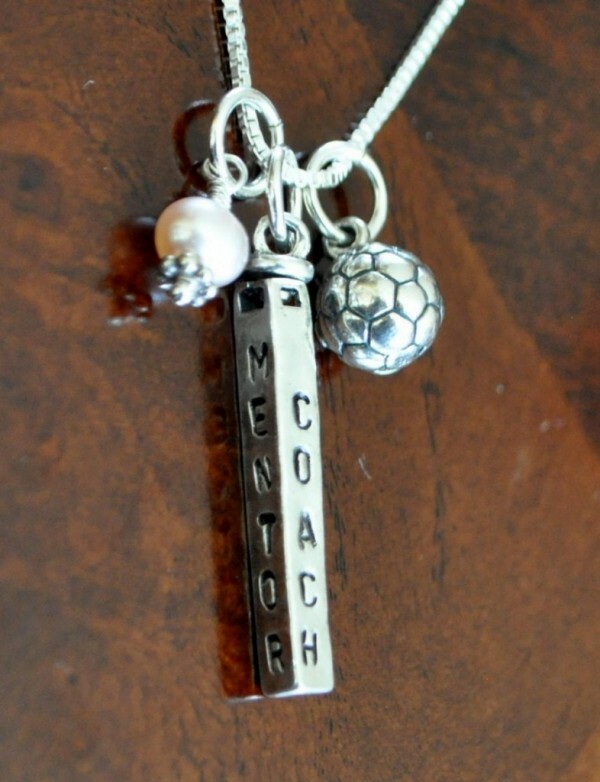 An Awareness Ribbon charm and your choice of Swarovski crystal dangle accent the hand stamped charms on a sterling silver chain. 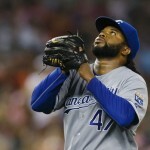 Cheer for the Royals during game 5 of the ALCS and save 20% on all sterling silver SPORTS JEWELRY gifts. 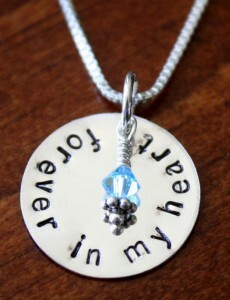 Say forever to someone you love with a sterling silver forever charm necklace. 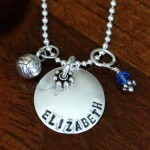 Shop our assortment of Hand Stamped Charms and and create a custom jewelry gift to tell her she is forever yours. 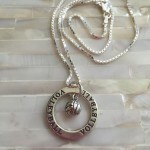 Personalize the charm with a combination of “Forever,” a name, initial and important date to wear close to her heart. 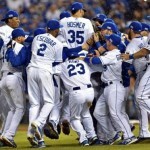 I’m celebrating, for the second year in a row, the Kansas City Royals battle it out for the AL Championship Series. While October normally reminded me of beautiful fall colors and pumpkin spiced candles, I now refer it to be “Blue October.” Blue painted pumpkins are lined down neighborhoods and instead of worrying about shopping for Halloween costumes, people are standing in lines at fan shops to buy Royals postseason gear. 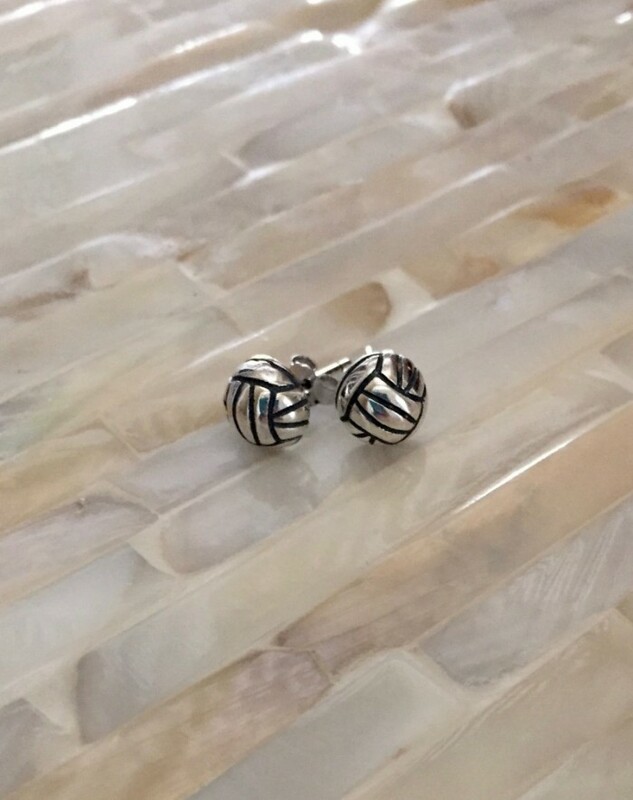 To honor the KC Royals, all sterling silver SPORTS JEWELRY will be on sale October 16, ALCS Game 1 at Kauffman Stadium in Kansas City. 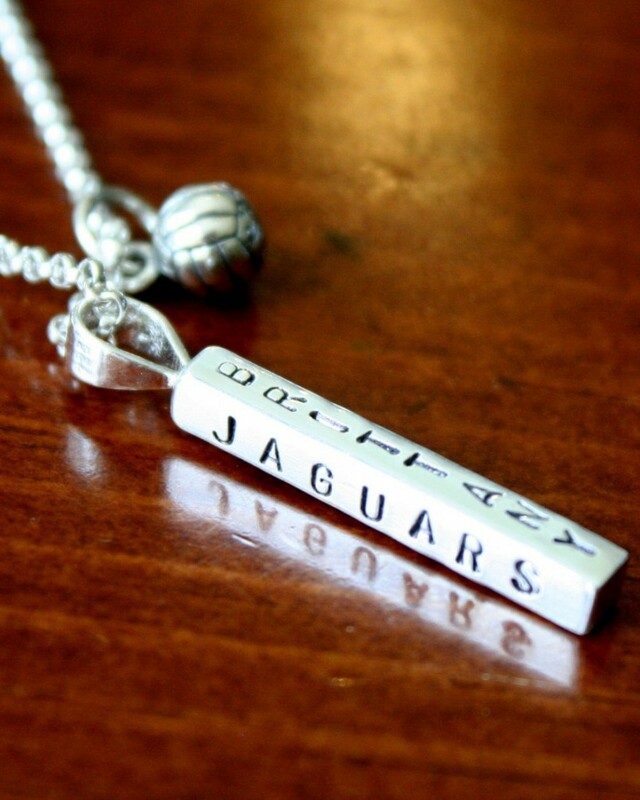 Show love for your favorite team or sport and personalize a necklace, charm or ring with a name, sport, date and meaningful phrases. 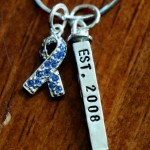 Support Down Syndrome Awareness Month this October by wearing a Sterling Silver Blue and Yellow Awareness Ribbon. 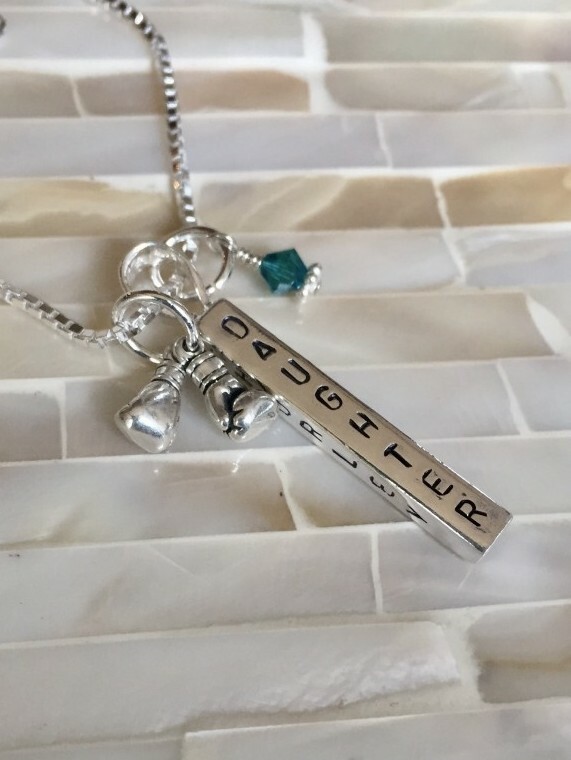 Customize a personalized Down Syndrome Awareness Necklace or Bracelet with an initial, name or meaningful phrase to show your support for this important cause. 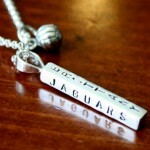 Personalized 4-Sided Bar Name Necklace – Each side is hand stamped with a combination of names, important dates and inspirational words. 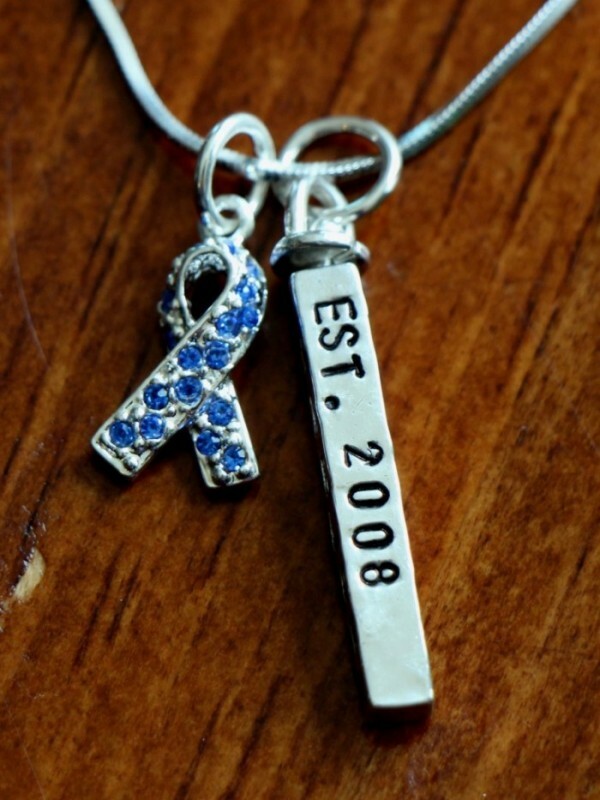 Personalized Initial Necklace – Select the blue and yellow awareness ribbon to wear with your favorite initial. 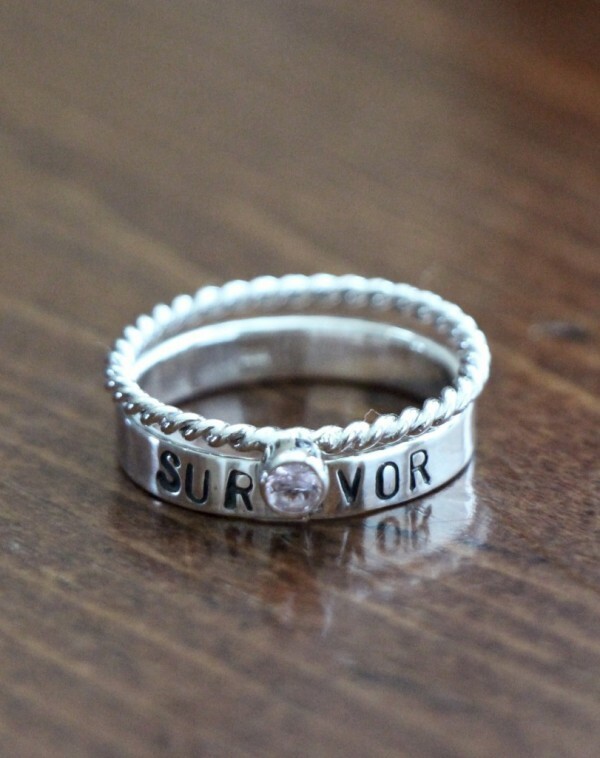 Awareness Ribbon Bangle Bracelet - Looks great worn alone or stacked with other bangles to represent the special people and evens in your life. 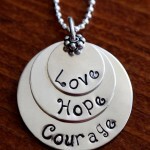 SHOP K&S IMPRESSION’S AWARENESS JEWELRY COLLECTION TODAY. 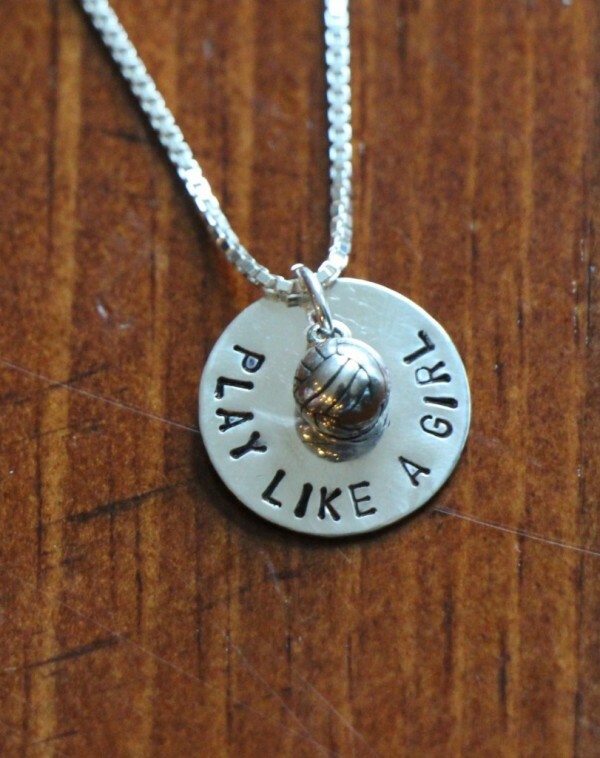 FREE SHIPPING on all orders over $50 – Join our email list to receive an additional 10% off.